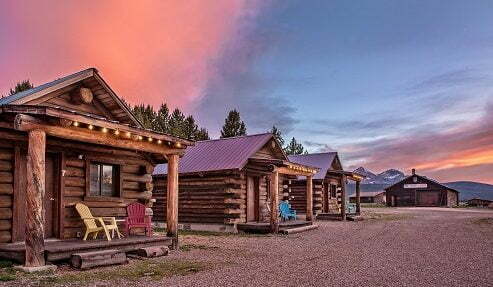 We know that you’re staying at Triangle C Cabins to experience all the adventures Central Idaho has to offer, but you are sure to get hungry in between! After you hit the trails or whitewater raft down the river, a hot meal will seem like heaven. Here are some of our favorite Stanley, Idaho, restaurants to try during your stay. Don’t forget to access our free Adventure Guide to save yourself hours of research planning your stay! Dining at Redfish Lake Lodge is seasonal, but it is one of the most convenient options for your stay at Triangle C Cabins! 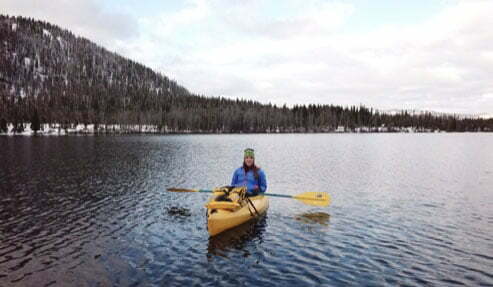 It is less than a 15-minute drive from the cabins, and there are tons of activities on-site. Consider renting a boat to get out on the lake before indulging in a delicious dinner, or take advantage of one of the many trails around the property after your meal. From healthy options to local fare, there is truly something for everyone at Limbert’s. The rustic atmosphere is an homage to the lodge’s original owner, Robert Limbert. To keep up with his vision, the menu has been created with Northwestern ingredients as the focus. Paired with a wine from the Pacific Northwest, you’ll have the perfect meal! For a rustic bar experience, head to the Rustic Lounge! Enjoy a glass of wine or mug of beer to wind down after a day outdoors. You’ll get to meet Trei, the amazing bartender of 20 years, who knows the ins and outs of Central Idaho. Make sure you chat with him for a few insider tips about the area! Lakeside Grill is the perfect spot to visit if you want something casual! Here, you can find delicious comfort food like burgers, sandwiches, and burritos. One of the best parts is the famous “living the dream” soft-serve ice cream; it’s the perfect refreshment on a hot day! If you’re looking for American comfort food classics, head to the Redd Square Restaurant. Their menu consists of everything from steak to elk meatloaf! It’s the perfect place to treat yourself to a nice dinner or have a casual sandwich. They also have a boxed lunch menu that you can get to-go and take on your explorations or back to your cabin at Triangle C Cabins. If you’re craving pizza during your Central Idaho excursions, head to Papa Brunee’s. On the menu, you’ll find delectable pizzas, calzones, and sandwiches. With four different pizza sizes, you can get a personal pie or a large for the entire family to bring back to Triangle C Cabins! 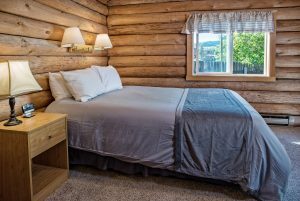 We have the perfect cabin for you at Triangle C Cabins! Each features a room and private bath with either a king bed, two queens, or one queen and two twins. Whether you are going on a romantic getaway or traveling with friends or family, you’ll love our expansive property set back amongst the mountains. Browse our accommodations to start planning your stay, and make sure you get a copy of our Adventure Guide to help with the research! We look forward to seeing you!